Somos un servicio profesional de sonido, luces y de DJ's con amplio conocimiento de nuestra musica Latina y Bilingue (Espanol e Ingles) con mas de 20 anos de experiencia, uniendo temas del pasado, presente y del futuro de la musica tropical en general (salsa, cumbia, merengue, bachata, reggaeton, baladas, latin pop, banda, duranguense, tribal, regional, vallenato, etc...); perfectamente mesclados con R & B, Pop, House, Hip Hip, Rock & old school y Top 40 Hits; lo ponemos todo a su disposicion para asi complacer a un publico variado. 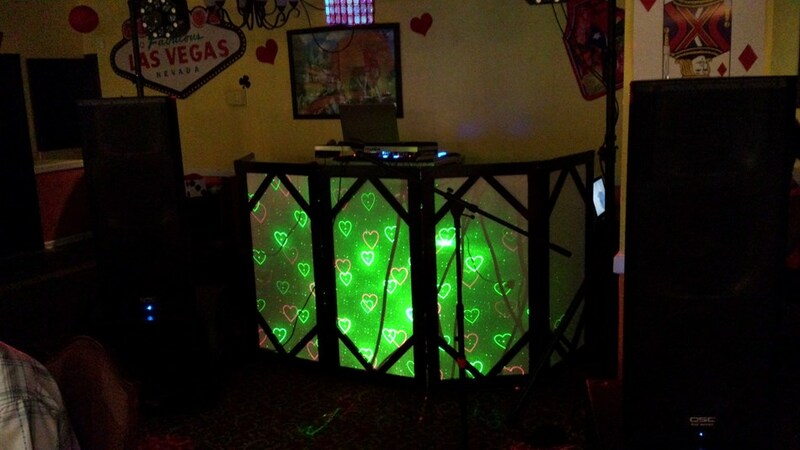 We are a profesional, experienced & knowledgeable true Latin/Bilingual DJ service; fluent in English and Spanish with over 20 years of experience. A mixture of the past, the present and the future in latin sounds (salsa, bachata, merengue, cumbia, reggaeton, baladas, latin pop, banda, duranguense, tribal, regional, vallenato); seamlessly blended with R & B, Pop, House, Hip Hop, Rock & old school thru current top 40 hits; we put it all together. Haremos todo lo posible para brindarle a sus huespedes, amistades y toda la familia la tranquilidad, la atmosfera y el servicio que ustedes se merecen. Our utmost goal is to make your guest, family members, friends and yourself feel at ease, providing you with the atmosphere, mood and desired success of your special event. Most of all we enjoy been part of it all. Estamos disponibles para bodas, cumpleanos, quinceaneras, fiestas privadas, festivales, picnics, reuniones familiares o cualquier evento en donde la musica haga falta. Nuestro sistema de sonido y luces DMX-LED es moderno confiable y de alta calidad. We deliver the perfect variety of music for weddings, birthday parties, quinceaneras, private parties, corporate events, picnics, sweet 16's, wherever music is needed, indoors or outdoors. Our DJ's bring their experience, sophistication and professionalism to every occasion. We will work with you to ensure the overall success of your event. We are committed to providing you with the service you deserve. Our passion for music and attention to detail speak for themselves. Sus anuncios durante la noche se haran tanto en Ingles como en Espanol. Nuestro equipo de sonido y sistema de luces es moderno, confiable y de muy alta calidad. Ponemos el ambiente en sus fiestas. Your announcements during the night are made in both English and Spanish. 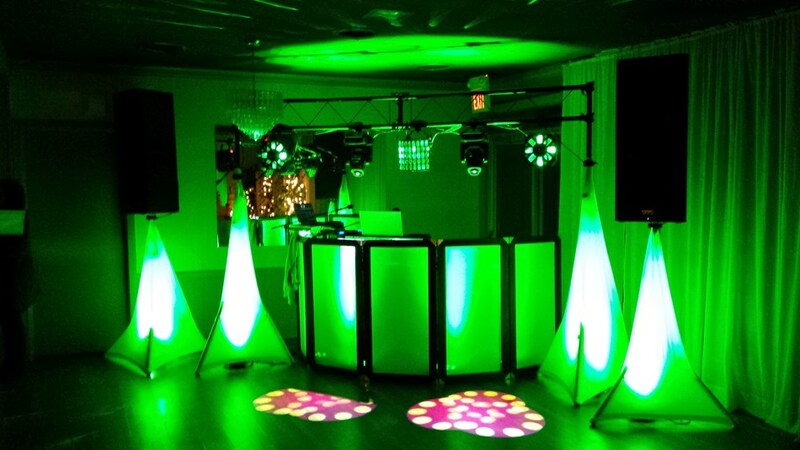 Our sound system along with our DMX-LED lighting is modern, reliable and of very high quality. We put the life into your events. Pueden comunicarse con nosotros a cualquier hora, en el dia o de noche, estamos disponibles las 24/7. Waiting to hear from you soon. We are available 24/7 for any questions you may have. Would not recommend to anyone. No one was pleased with the music selection everything was a mess. He ruined the setup we had and did not want to put the lights up. He did not follow the instructions as they were given. Ignored the host of the party and we had to get a guest to give the announcements for him. He was very punctual but that was it. We would of been better of hiring a local DJ than him. Parents, family & guests were great and danced all night (got videos to prove), instructions were followed but her lack of organization was visible from the start, after noticing situation her friend volunteered to help. When things go wrong it's easier to point the finger at the DJ after you had him set up in a corner behind your guests so the cake could be seen, then after 2 hours of set-up and not till after some family members began arguing with one another I was allowed to re do setup with dance floor lights were it should have been in the first place. She will not dance to her own song request, her dad told me not to honor her request if she was not dancing. Dj hector was great , he did an awesome job kept the party going , I had great time at my wedding , I would definitely hire him again and recommend him ! Pros: Very communicative, always answers texts & e-mails, accommodating of requests up to the day of the wedding. Good mixes of music. Cons: Many guests complained he copped an attitude when they would request songs. When I went to say thank you to Hector, he started ranting about how my dad cussed him out (not my dad's style but even if it were true I would have preferred he tell me later not at my wedding) and then he argued with my mom and ended half an hour earlier than agreed. He basically ruined the end of my evening by ranting to me about my own father. Very unprofessional. Would have preferred he contacted me later on not make me feel bad at my wedding. Bride's dad made song request, song was played, he danced with his wife, 10 mins. later he came over finger pointing, shouting obscenities claiming his song was not played. Music volume was turned up so he could not be heard by guest. While explaining to her, mom interrupted in the same manner. She definitely would not have believed me a day after. We gave her a free hour she had ask for (remember). Now she claims she got 1/2 hour short? Not until all guest had departed, lights had been turned on & catering began clearing tables that we seized music. Some song request did not fit the occasion, kids present (most were honored). Clients should control guest behavior. I have to say that having DJ Hector in my party was the best decision I made, thanks to him all of us enjoyed dancing to the end I know I did lol. I recommend DJ Hector for future events; he knows all about Latin music, all the good music that we like, Salsa, Bachata, Merengue, Reggeton, Cumbia, Rock Hip Hop, R&B etc.. You name it. ????? Awesome DJ! We would hire him again in a minute. A total professional that kept our fairly small group engaged for the entire evening. DJ Hector was great. He completely understood what kind of reception we wanted. Combining two different cultures can be challenging, but he did a perfect job. I could not have asked for a better DJ for my wedding reception. I received many compliments and would definitely book him again for any other events. Please note DJ Hector will also travel to Cumberland, Stedman, White Oak, Roseboro, Tar Heel, Autryville, Hope Mills, Salemburg, Elizabethtown, Parkton, Saint Pauls, Wade, Garland, Clinton, Godwin, Falcon, Lumber Bridge, Bladenboro, Linden, Fort Bragg, Mamers, Spring Lake, Lumberton, Newton Grove, Turkey, Clarkton, Buies Creek, Bunnlevel, Dunn, Kipling.